Do you have video footage which needs knocking into shape? 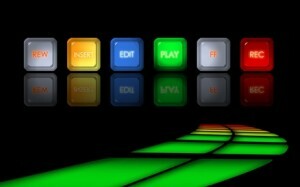 Maybe you have your own editing software, but you’re too busy to do it yourself. Or maybe you don’t know how to edit, and simply want to outsource it. A client had some amateur footage from an industry awards ceremony. He knew there was some decent footage in there, and needed us to transform the video into something watchable which he could use on his website. A client had three separate videos containing footage of equipment installations done by his company. He needed selected clips from the videos to use in a presentation. You give us your footage and ask us to cut out the bad bits and make it a more watchable video. You already know which segments of the footage you want to retain, and you provide us with a list of “in” and “out” points. Q: What type of editing can you provide? We can trim and re-sequence your clips. We can adjust the sound and picture quality. We can add opening and closing titles and add on screen captions. The results we can achieve will depend on the quality of your original footage. We can transform decent quality footage into something which looks more professional, however if the footage is very bad to start with, there may be limits on what we can do. We can advise you on what’s possible once we’ve seen your footage. Our rates are £75 per hour + UK VAT at 20%. To chat about your requirements please call 01242 696728 or email us. Please note: We can only edit from video files not from tapes or cine film. This covers formats including Mpeg, AVI, Windows Media, M4V, MP4 and more. We use Adobe Premiere Pro CC.